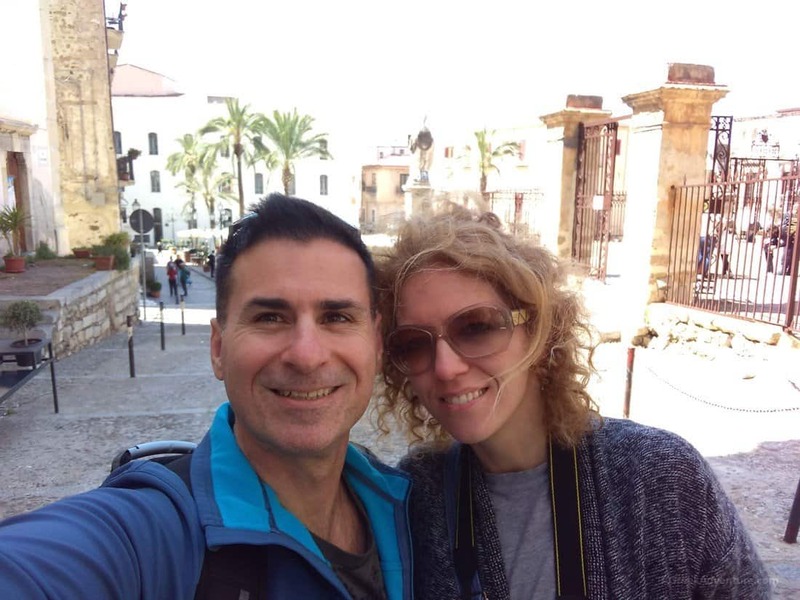 We landed in Cefalu Sicily (Cefalù), during a 5 day trip around Sicily. Sicily has a huge relation with Greeks that goes back thousands of years and we wanted to explore such things. 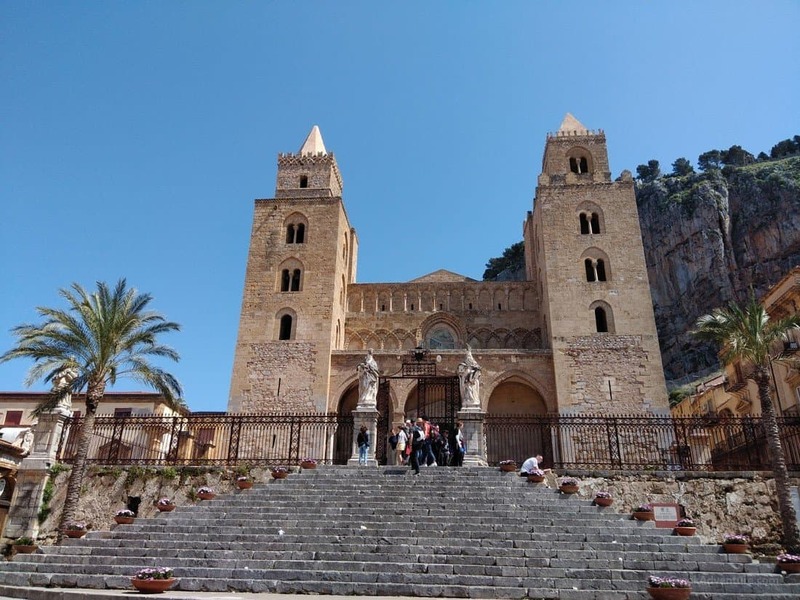 Our trip included Agrigento, Taormina, Catania, Palermo, Syracuse & Otryvia. 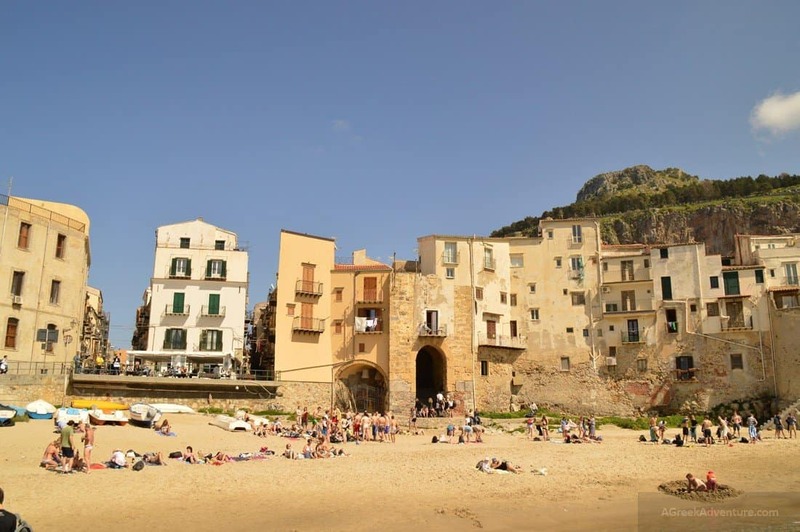 Cefalu is a beautiful city by the sea, very characteristic from the limestone buildings, closely build near the sea. 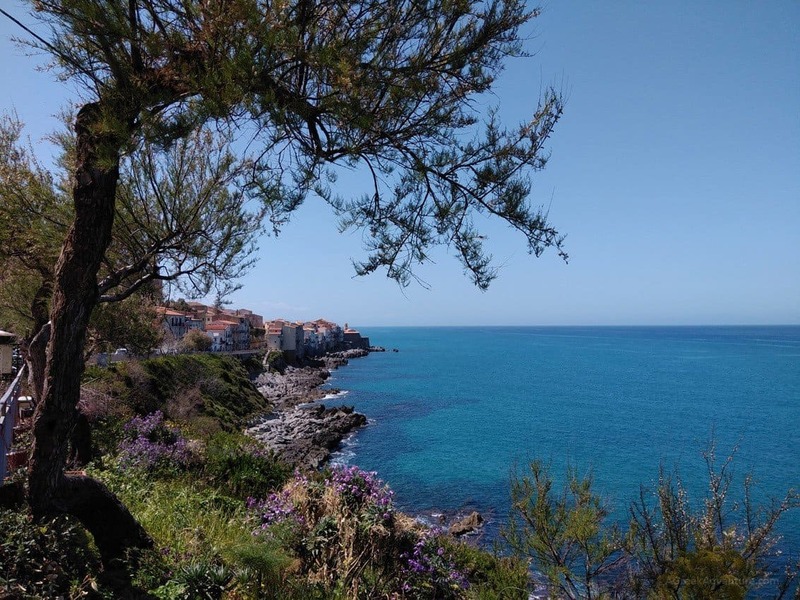 Cefalu is a nice village to be for a few hours. Most of the things can be seen through a slow walk around the place. 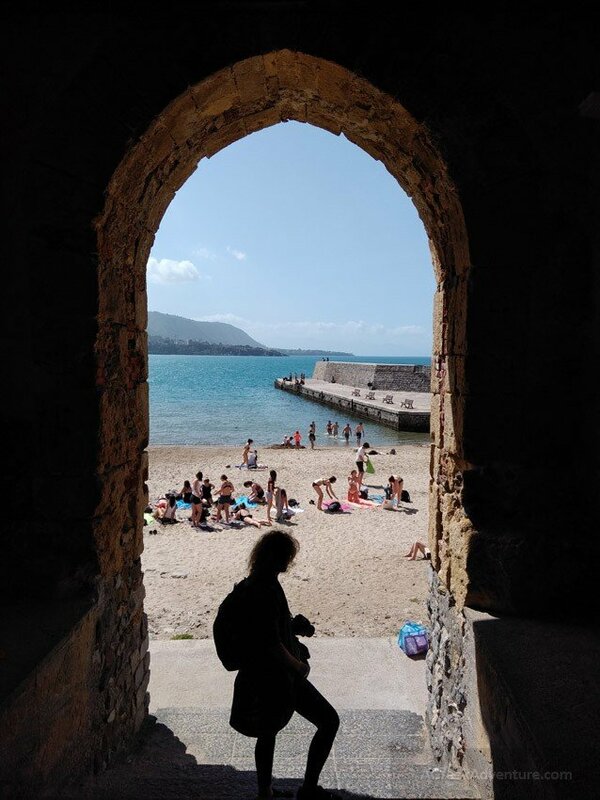 Unless you plan to stay in a really quite place like Cefalu, just for the peace, you may get bored fast. We spend a few hours there and then moved along. To get inside the village you park outside of it and walk your way through. 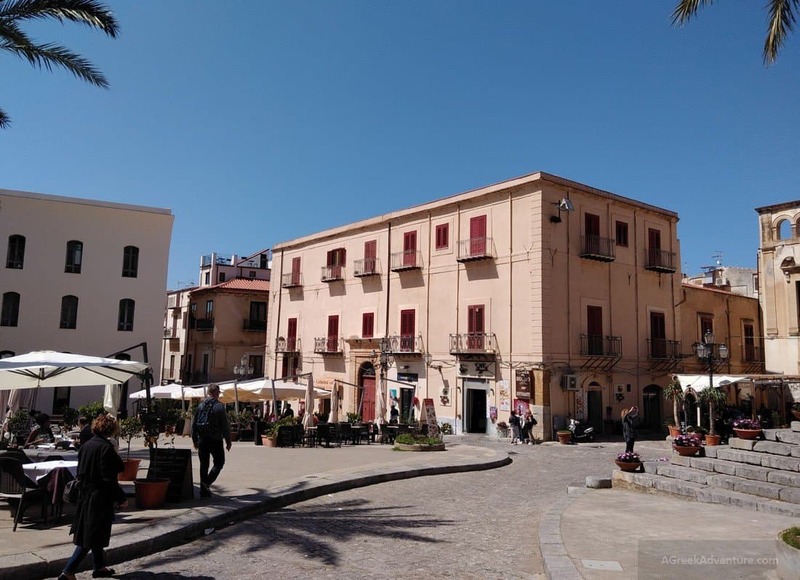 The central point of Cefalu is the Duomo square. Upon your arrival we recommend to get to the Duomo square. On a good sunny day, the colors look magnificent. It is impossible not to see the church as it stands in the highest point of the square dominating everything. Duomo means “Cathedral”, and every city in Italy (island of Sicily included) has a Duomo. So, the word is not strictly related to famous Duomo buildings like those in Florence (Firenze). We were informed that the church interior is covered with real gold! The mosaics are really vivid. 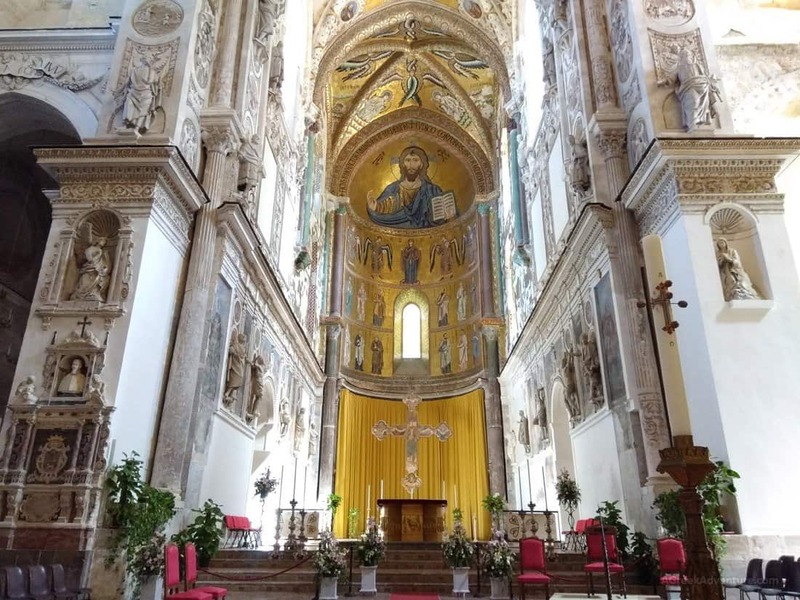 The church (as many churches of Sicily) combine elements from the Arab, Norman and Byzantine cultures. These are quite visible in and out of the church, and in the surrounding city buildings. See this video from the Duomo interior. 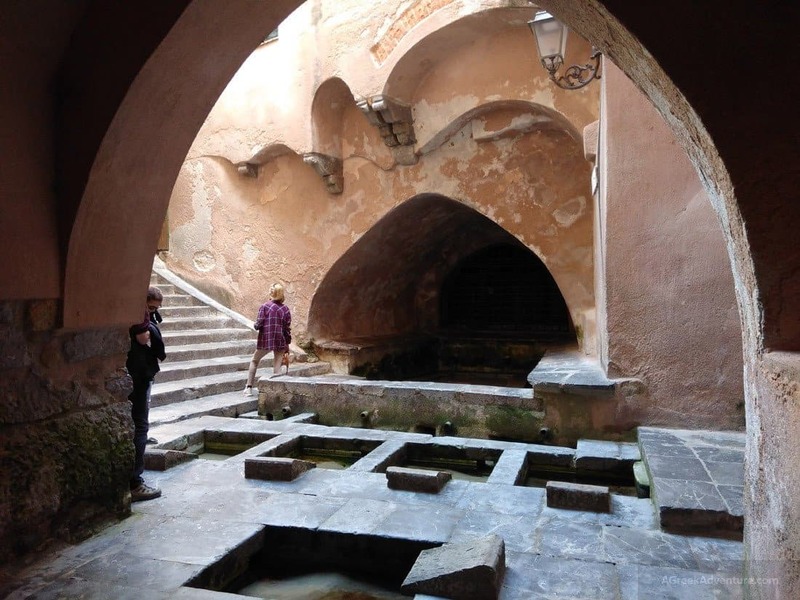 Lavatoio Medievale dates back to medieval times and it was the place were women were gathering to wash their clothes, plus to exchange the daily news. The water comes from a river Cefalino and flows through the different water tanks, ending out to the sea. One can read the inscription: Here flows Cefalino, healthier than any other river, purer than silver, colder than snow. You may miss this spot unless you walk at the lower levels of the village. We knew that a beach was there but didn’t know how to exactly access it. At some point as we were walking we spotted this stone door/gate, offering a fantastic contrast of shadow and light with blue colors ahead. During that day the beach was swarming with teenagers (even from other cities) who grabbed the opportunity to cool down from the hot weather. There were no fancy installations like beach bars or such. Just the sand and the sea and lots of people having fun under the sun. 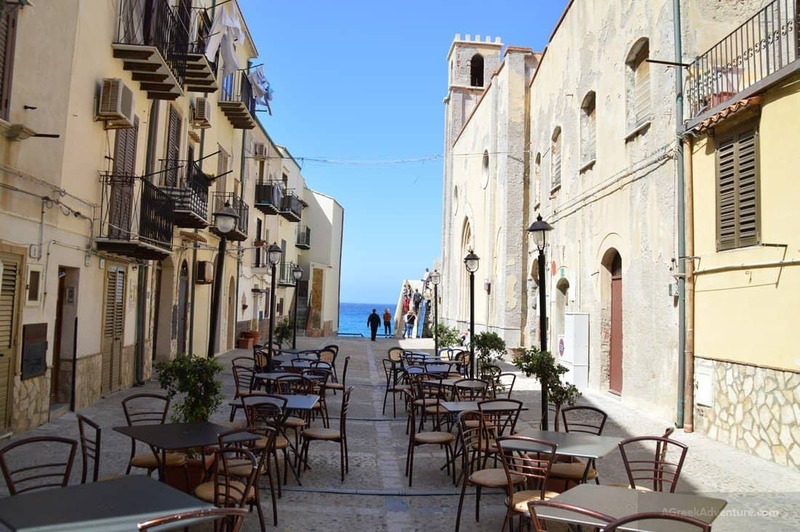 When you are there you need to taster Cefalu “dolce” specialty which is iced water with different flavors, lemon being the most preferred. Perfect way to swallow some coolness. The city offers not many historical sight-seeings but it is really nice walking up and down the narrow paths and feel like a local. If you have the time visit Museo Mandralisca. 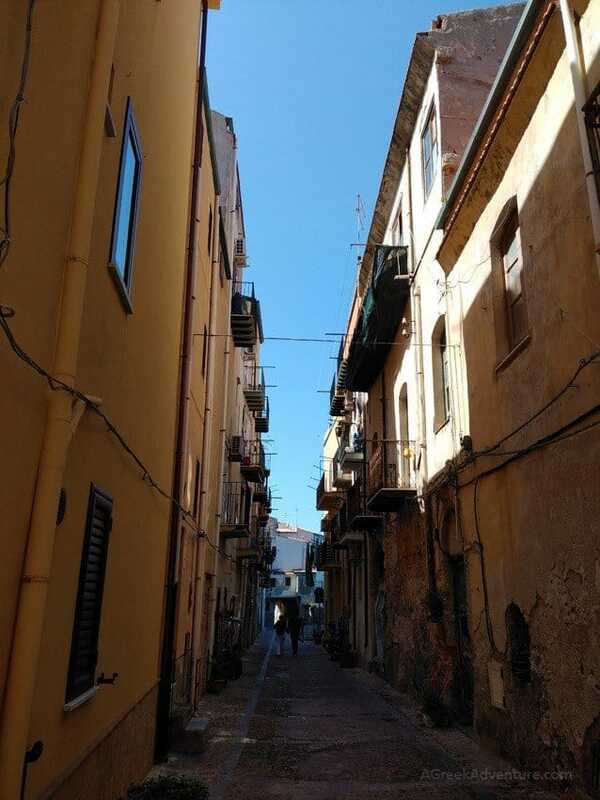 We had some really nice time there and as our first village to visit in Sicily, it was a nice introduction for more things that would come in the next days. 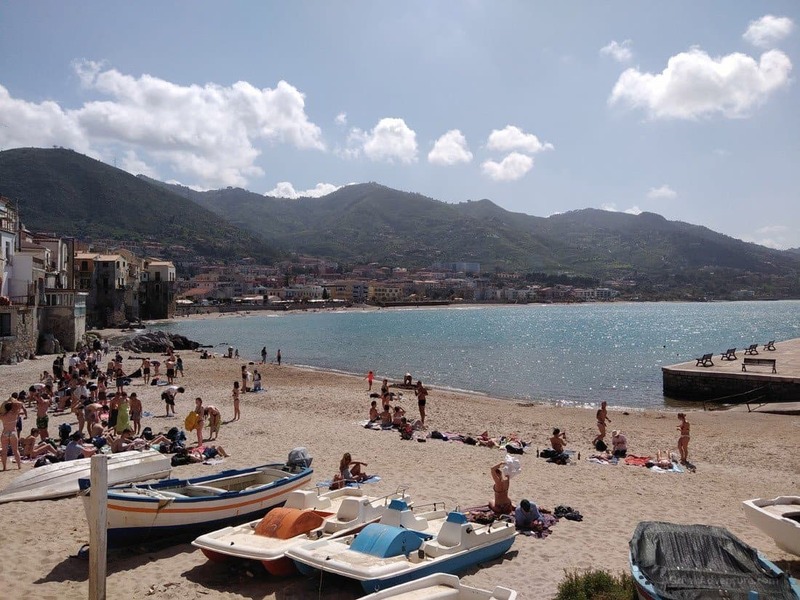 Enjoy Cefalu as much as you can and move on to another location in Sicily. Make sure to book ahead for accommodation. 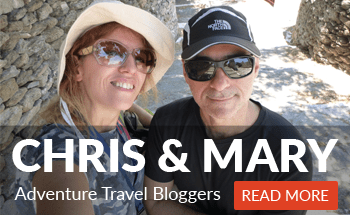 Get your travel insurance and check those great resources for your travel too.